Marianas Trench are not haunted by the echoes of the past - they are inspired by them. We caught up with the band prior to their show in Calgary to talk about their latest album, Phantoms, as well as the Suspending Gravity tour and their evolving career. All we knew of PVRIS a few years ago was that they were fresh off a stellar debut release and a three-piece band that was certainly one to watch. Now, PVRIS is an extremely successful alternative band, with a uniqueness to their music that’s lead them to tours with Fall Out Boy, and even taken them as far Coachella. Their most recent release, All We Know Of Heaven, All We Need Of Hell, is an indie-rock blend of laid-back sounds to in your face instrumentals, existing in perfect harmony, sounding like no other band out there right now, which is exactly what is needed in today’s market. I had the pleasure of speaking to Brian MacDonald [bass, pictured above, left] prior to the start of their headlining tour about PVRIS’ experiences over the last few years, how it’s shaped their songwriting and the contrast of blending the visual appeal of music videos to match the content of their message. It's always sunny in the world of Mayday Parade, however, there is sometimes a chance of showers. The Tallahassee quintet are no strangers to the changes in the weather, or in this case, the challenges that arise during touring and recording. Being a band for 13 years has anchored them in their methodology and approach to songwriting, as well as solidified them as a staple in the pop-punk music scene. 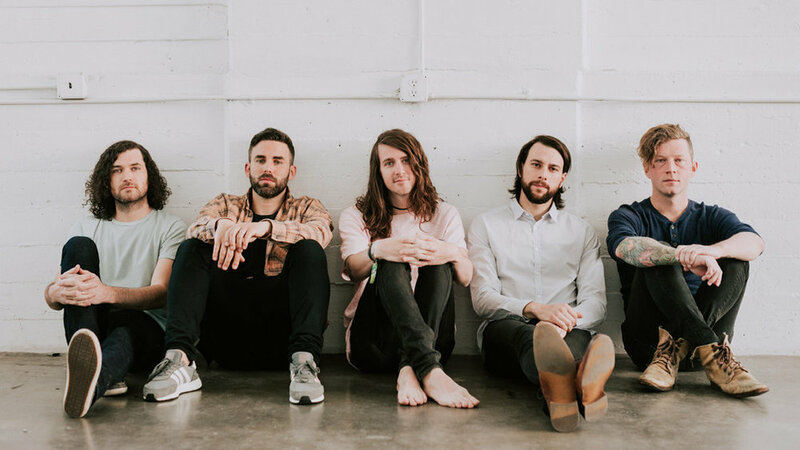 I spoke with rhythm guitarist Brooks Betts [pictured above, right] about the new album, Sunnyland, what it was like working with John Feldmann, as well as the final Warped Tour. The road to success isn't always necessarily a straight shot. Sometimes, there are bumps along the road, and that was quite literally the case for Marc Copely [guitar, vocals, pictured above on right] of JD and the Straight Shot. During his early days as a professional musician, he was involved in a near-fatal car accident after a show, that resulted in his resuscitation by the side of the road. However, this was not enough to hold him back. Since then, Marc has gone on to release two solo records, work with legendary artists such as B.B. King and Roseanne Cash, as well as produce records and play guitar for JD and the Straight Shot, who are currently on tour with none other than The Eagles. I had the privilege of speaking with Marc about all of the experiences he's had in his life so far, and how music has shaped who he is.